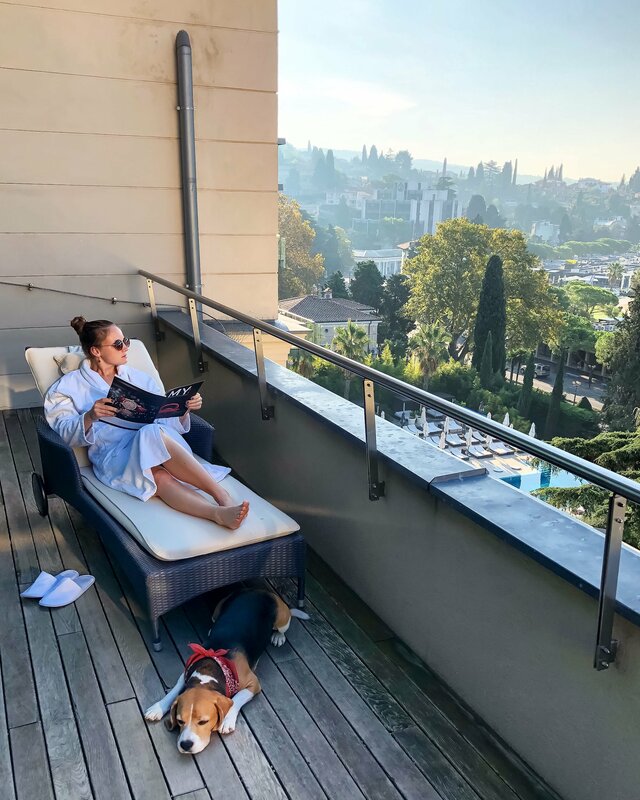 Are you trying to imagine a place to stay just for getting away from the hustle and bustle of everyday life and look for some peace in Slovenia? 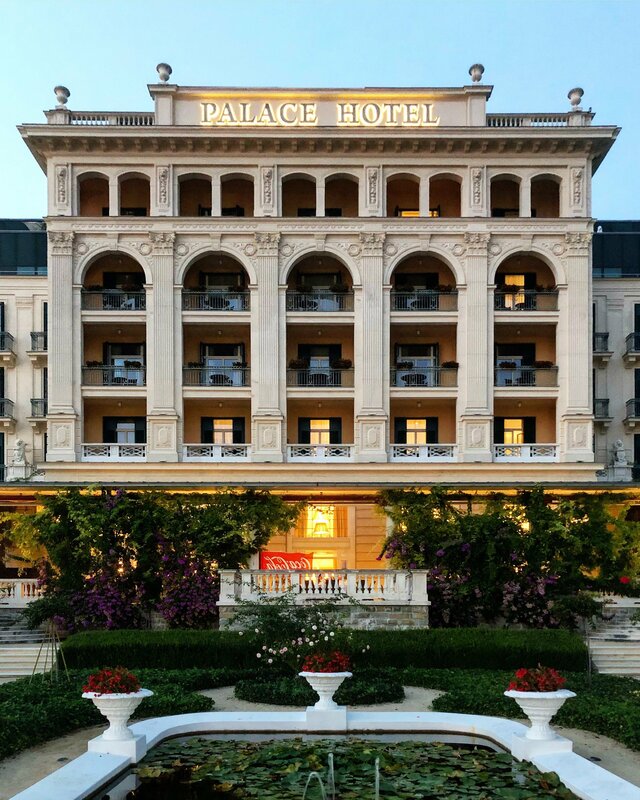 Well, maybe we have the answer: Kempinski Palace Portoroz. This is a luxury five-star hotel located along the Adriatic Sea in Slovenia, at the very centre of Portoroz. In fact, this city is known for its mild climate and spa tradition. 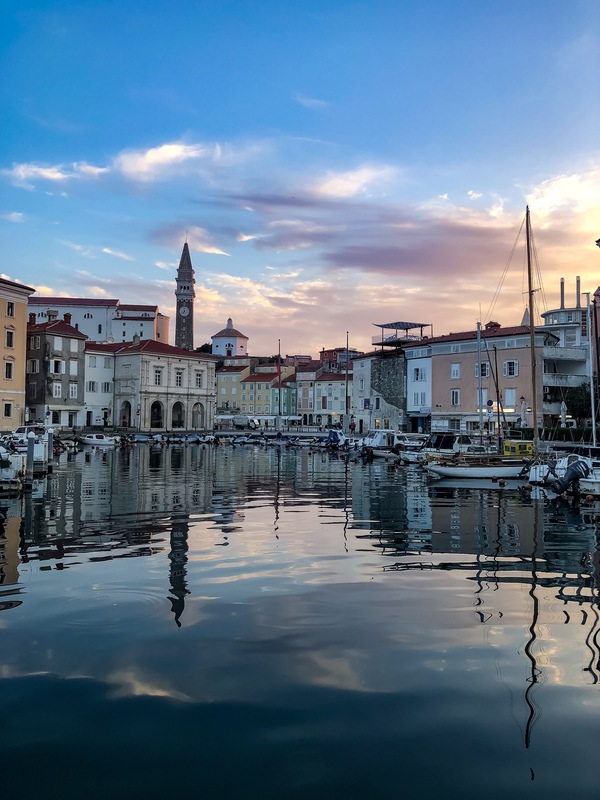 A few kilometers from here there is also Piran, an other picturesque city in Slovenia. No need to say that this is one of the best hotel I have ever stayed. The hotel embodies the principle that tradition meets the new, incorporating the different architectural styles (Art Nouveau, Bauhaus, Art Deco) that have influenced the building from its construction. From its opening in 1910, it has always hosted important people: royals, actors, aristocrats, artists and politicians. Sophia Loren, for example, and it was not the only one. The name of one of the restaurants is dedicated to her. After the recent renovation, the charm of Viennese elegance blends harmoniously with modern design and the guest can choose whether to stay into the historic part or whether to be transported in a new dimension, the new part. 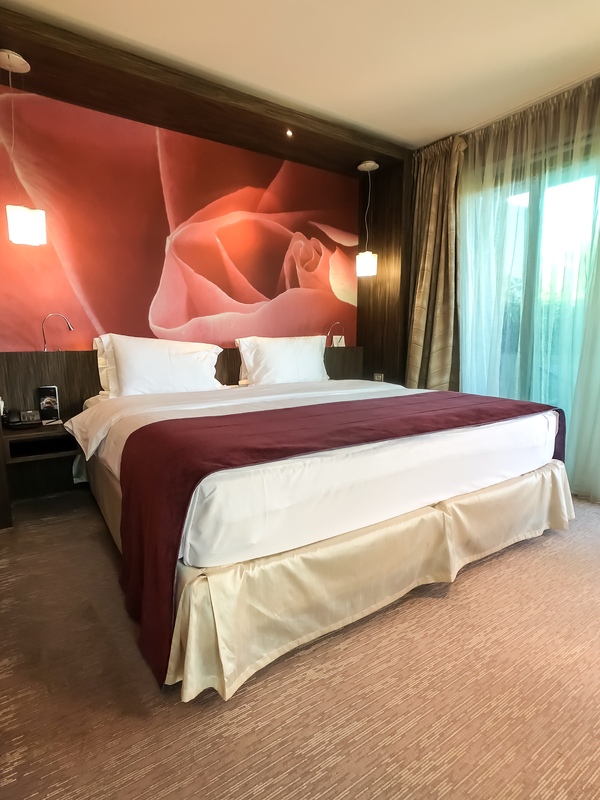 In fact, it’s possibile to choose the vintage part that has warm tones and classic forniture, while the other, the new one, is characterised by bright tones and, modern forniture and the image of a big rose in the heads of the beds. 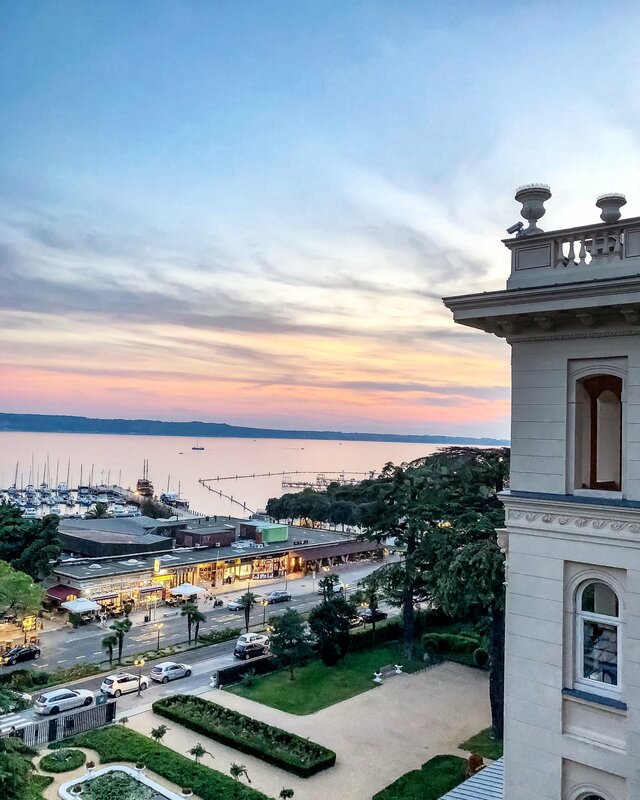 Nestled in a historical park, Kempinksi Palace Portoroz counts 164 big room and 17 exclusive suites. One of them, the Presidential Suite, is the more spacious in Slovenia with its 230 square meters. Impressive, isn’t it? We slept in the deluxe double room sea view: it was stunning, as you can see below. And it’s a pet friendly hotel, so the ideal place for animal lovers! 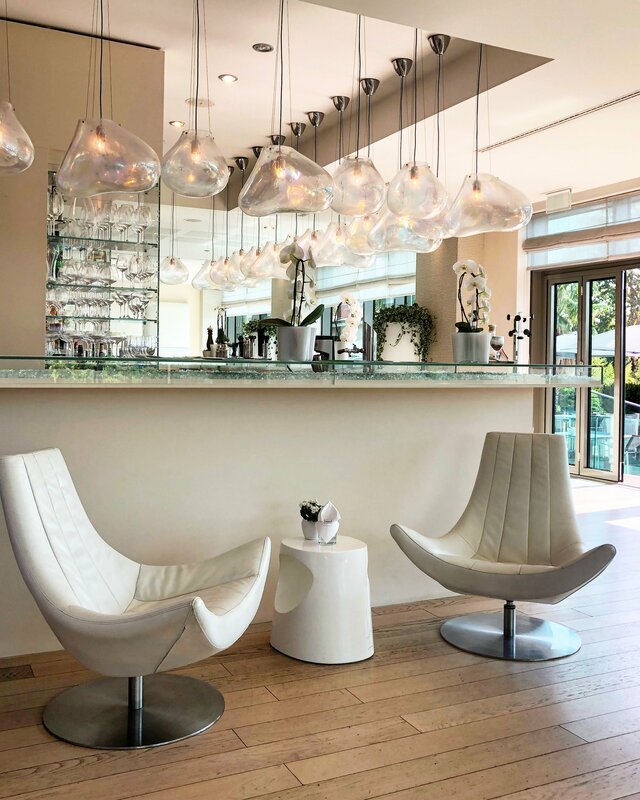 Regarding the culinary experiences, Restaurant Sophia is the classic and offers very refined Mediterranean cuisine created with local ingredients and taste from all around the world. The wine list is sublime, too. The name of this spot is dedicated to the actress, who usually stayed here in the 1950s. The Fleur de Sel Restaurant, instead, is a modern restaurant with a terrace overlooking the sea. So this could be the perfect place not only for eating traditional food from Slovenia but also for enjoying a cocktail during the sunset. The menu is a la carte and offers fusion cuisine complemented with Istrian tastes. The Fuzi (fresh pasta) with Black Truffle (Slovenia ‘speciality) is delicious: a dish with the real flavor of the territory. Now we have to talk about the magnificent Crystal Hall Ballroom: it is the ideal location for events, weddings and gala balls. Here it’s served the breakfast in order to let any guests see the beauty of this room. Every morning there are selection of freshly baked goods, fresh fruits, warm dishes, specialized salty and sweet food. The crystal chandeliers are from 1910 and looking at them make you think about the balls that the Austro-Hungarian aristocracy could have done here. This and the fairy-tale view over the historical park located in front turns breakfast into a unique experience. Least but not last, the Kempinski Rose Spa and the pools. The spa tradition here is dated back to 1300s for the salt and the 1500 square meters paradise here has an elegant environment and includes an indoor and outdoor pool. The last one has salty water so a dive here is a must. Moreover, there is a Jacuzzi, a sauna area and the treatment zone. Perfect spot for relaxing a little bit! 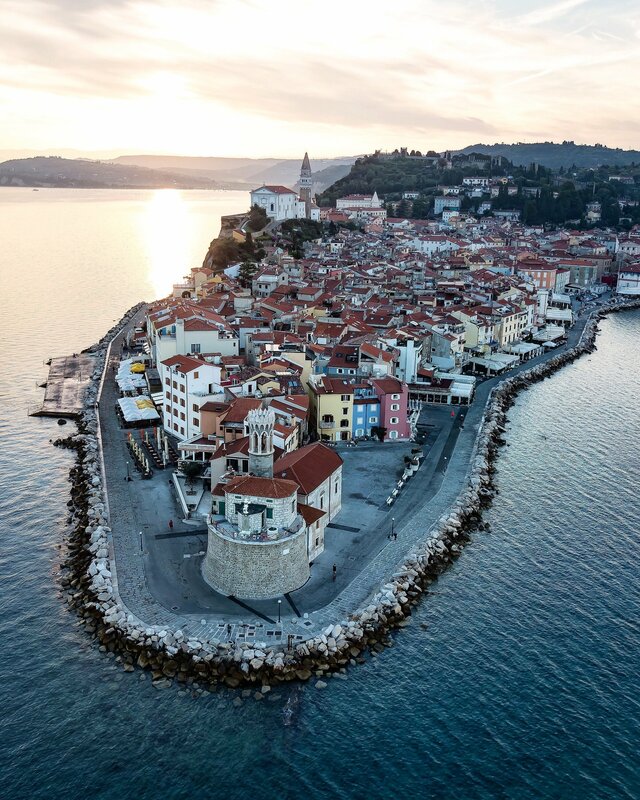 Portorož and Piran, in Slovenia, are only 25 kilometers away from Trieste. Here the sea is beautiful, the kitchen offers wonderful flavors of Mediterranean tradition and the sea salt is used for wellness centers. But Portoroz is also a lively seaside resort that offers numerous opportunities for fun and culture. In fact, the two cities preserve in their architecture and their identity many traces of an ancient past. The two towns were at the center of disputes between different peoples, starting with the Romans, the Venetians, the French, the Austrians and finally the Italians. This can be seen in the buildings and in the facades. Nowadays, it is famous for its seaside resorts, its casinos and its nightlife. Three kilometers away from here is Piran, a medieval town, a real jewel to visit. Its pretty squares and walls from which you can enjoy an enchanting view of the gulf are all to discover. The city became richer due to the salt-sale. That’s why Venice has interest in conquering Slovenia. The streets and squares are signs of this influence. This zone can be easily reached by car from Trieste, by plane thanks to an international airport very near and by boat from Venice. If you need more tips, I’m here to help so don’t hesitate to contact me! WOW! You had me at top picture 🙂 What a stunning picture! This seems like such a dreamy place to relax and rejuvenate. Wow history and modern luxuries in the same place! BTW I love that arial shot of Piran!! The hotel is completely gorgeous! I find that I don’t get time to enjoy my hotel when I travel. 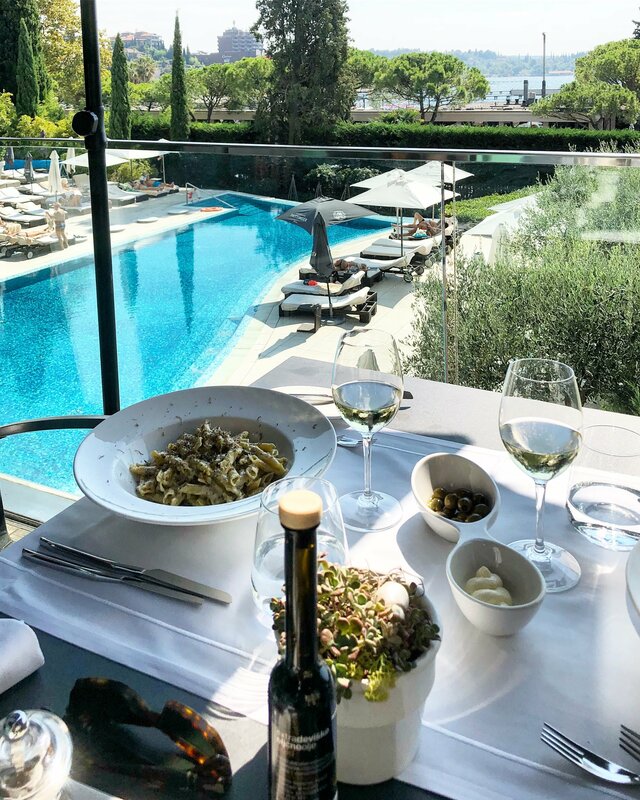 The food looks so delectable and the pool is sublime! Loved the aerial shot of the medieval town, it’s so picturesque! Hello Victoria, I understand. Sometimes I don’t have much time to enjoy the hotel, too but it depends on what we have to do, wether you travel for leisure of for work. There was a moment when I did not want to scroll down from the top because that view was just so beautiful. This looks like an amazing place and what better than to enjoy the sight with some great Mediterranean food. I could relish some Fuzi with Black Truffle. Would love to see Piran and Portoroz as well.